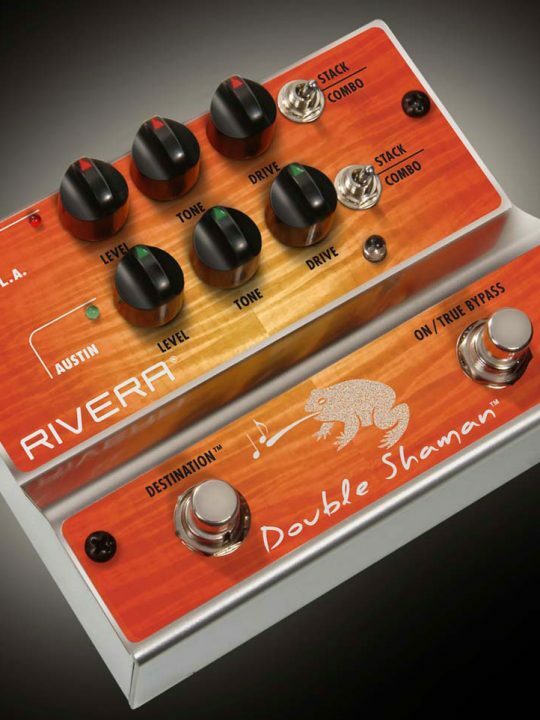 A dual channel compressor pedal with "Blend" capability, separate Attack and Sustain controls and Super Sustain switch for infinite sustain. 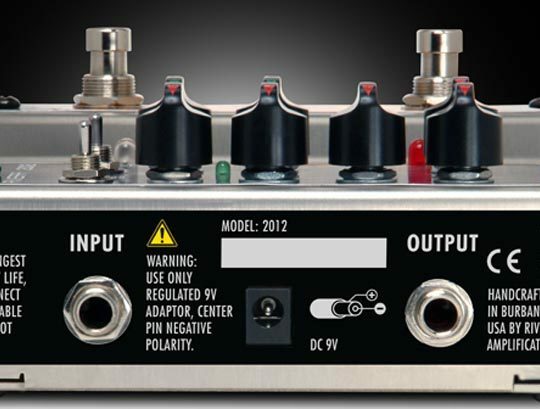 Also features "True Bypass". 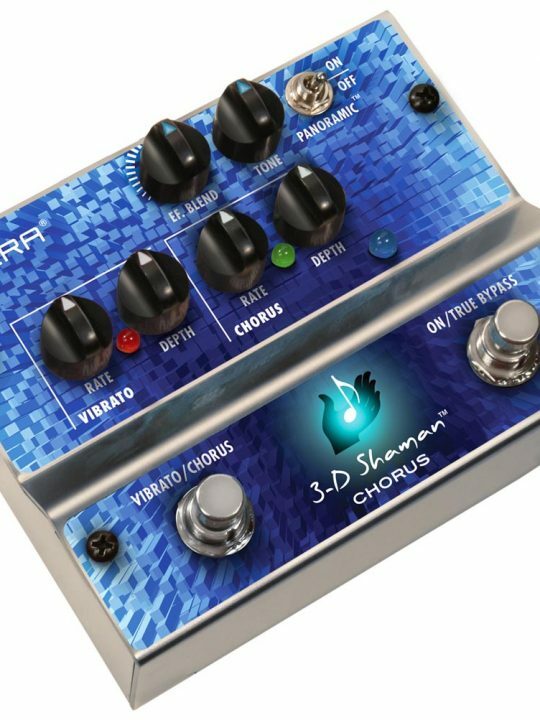 Handmade in Burbank, CA. Clean sustain is the Holy Grail for a guitar player. 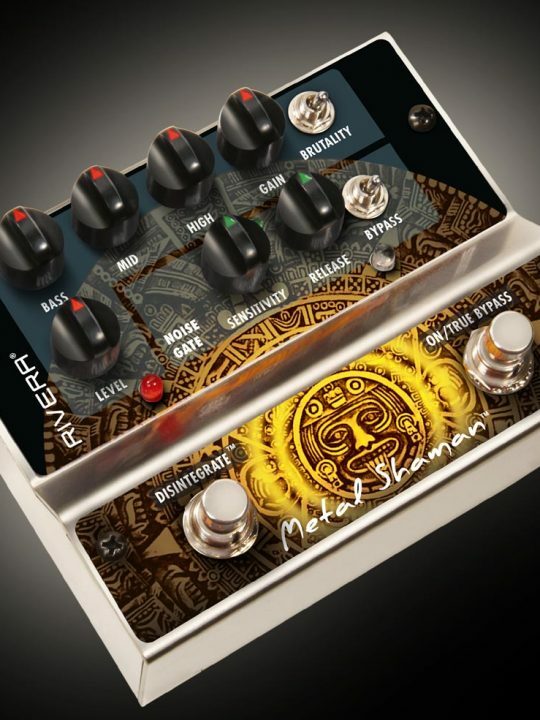 Most Compressor pedals on the market are a rehash of a classic compromised design from the 70’s. 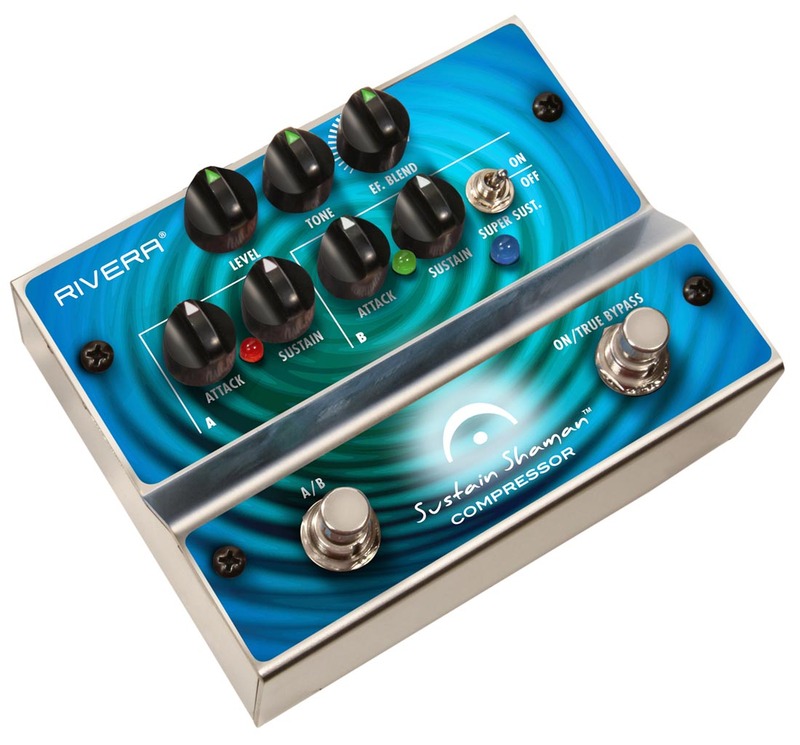 Rivera has started with a completely new and studio quality design-costly analog circuitry and components, with gobs of headroom, super low-noise, and with sustain that can hold your notes for what feels like infinity. 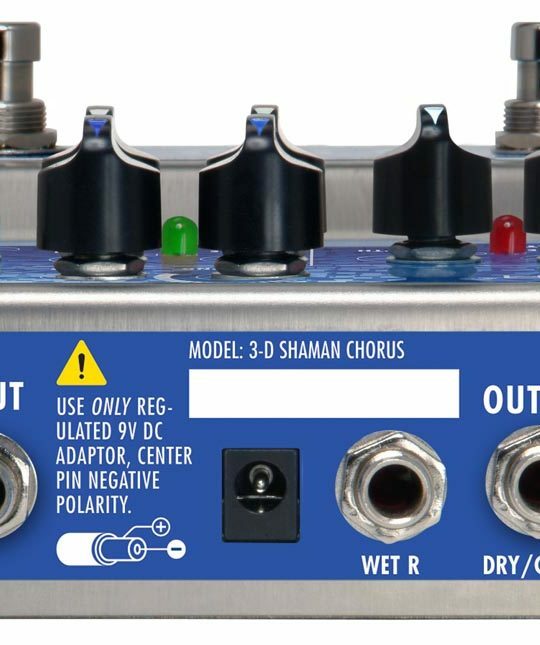 With two channels of accurate envelope tracking and control, you can adjust for the dynamics of what instrument you are playing-say single coil vs humbucker, as well as what style-to achieve two lead sounds, or a rhythm and a lead setting. 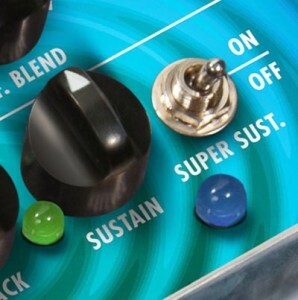 A SuperSust™ switch will take you even further on channel B.
Super Sustain switch gives you infinite sustain at even low volumes. 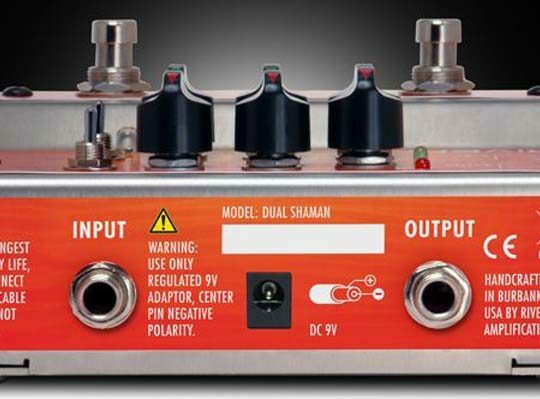 Blend control allows you to dial in the exact compression needed. 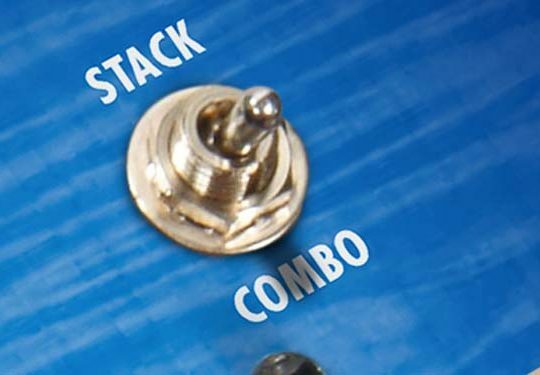 With a Tone control to adjust the EQ balance, and a blend control to add just the right amount of compression effect depth, setting up for your personal sound is easy.Playing rhythm guitar and needing to hold the level, as in R&B licks is a great complement to the ability to have long clean sustained leads. 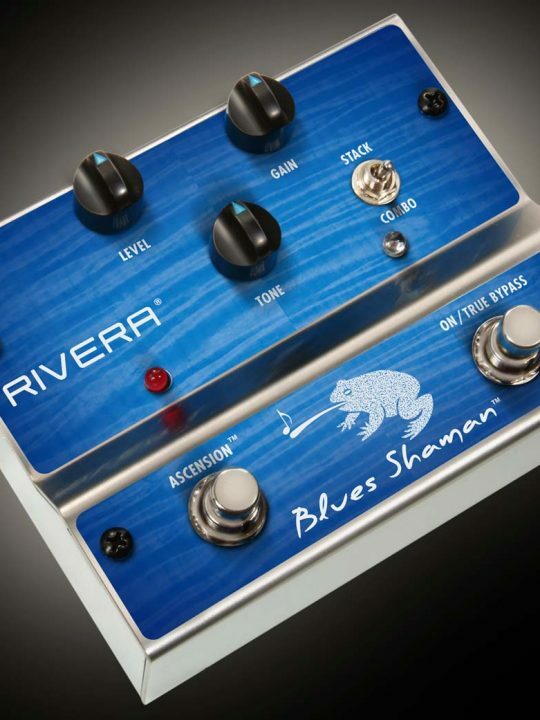 Like all Rivera Shaman™ pedals, you can use a 9V battery or an AC adaptor. 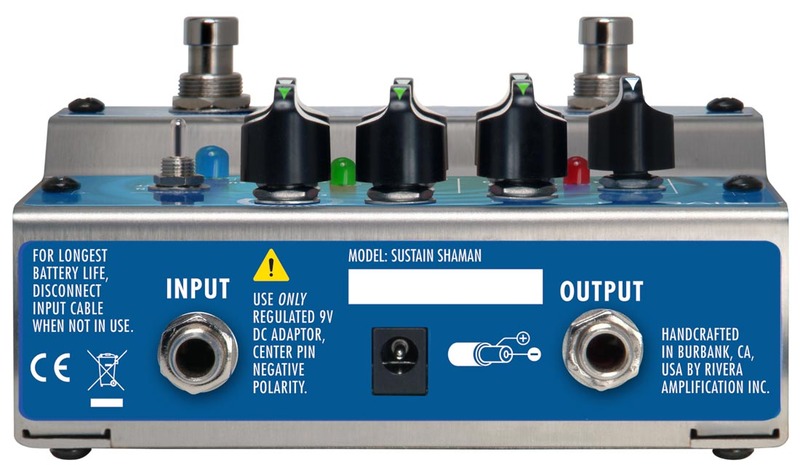 Add sustain to your music with our Sustain Shaman™ pedal.